A 7 day, deep-acting, total body cleansing and metabolic jumpstart program. Soy free and gluten free. 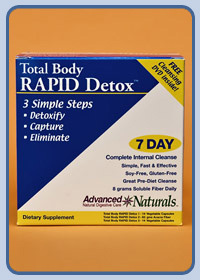 This is a 3-part herbal internal cleanse.